When you give the MinLines property of a TextBox some value, you’ll find that the TextBox’s size isn’t adjusted to fit the minimum number of lines until after the user enters some text into the TextBox. 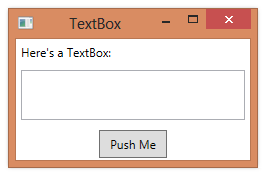 The TextBox will not initially be sized properly at startup. You could also just manually set the TextBox to the desired size using the Height or MinHeight property.